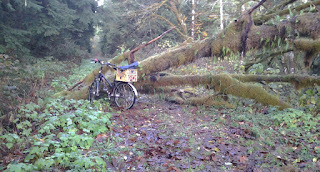 Trail Coalition of Snohomish County: County Park staff makes quick work of a big chore after the November 17 Windstorm. 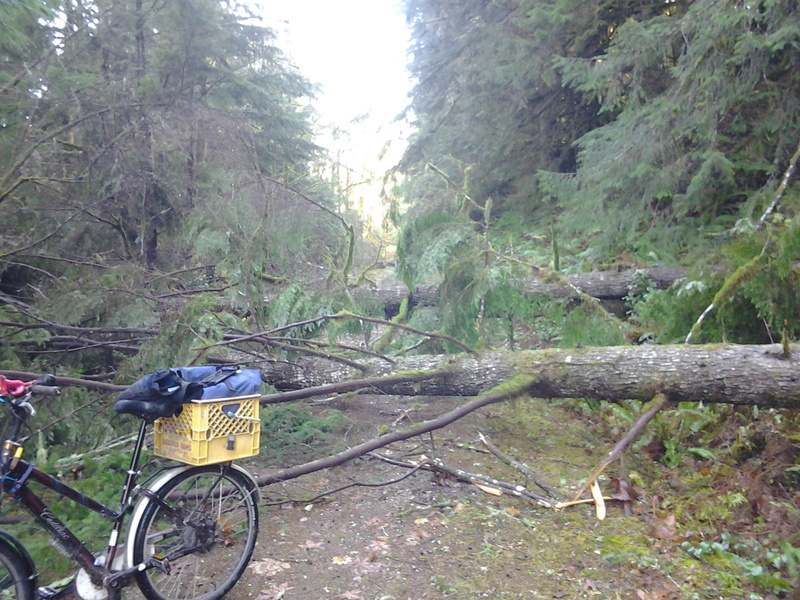 County Park staff makes quick work of a big chore after the November 17 Windstorm. Open and ready for your holiday season enjoyment! 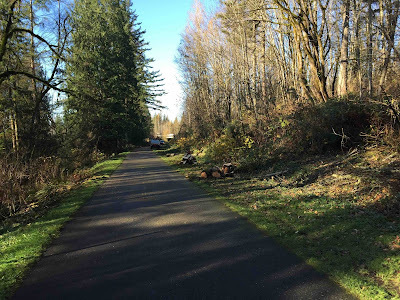 We all appreciate what a speedy and complete job you all did without closing the trail down so we could still have access. 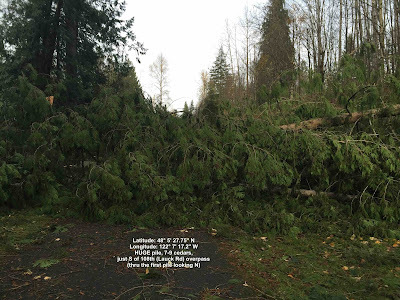 SnoCo Parks & Rec! There were similar windfall problems on the currently open section of the Whitehorse Trail near Darrington. 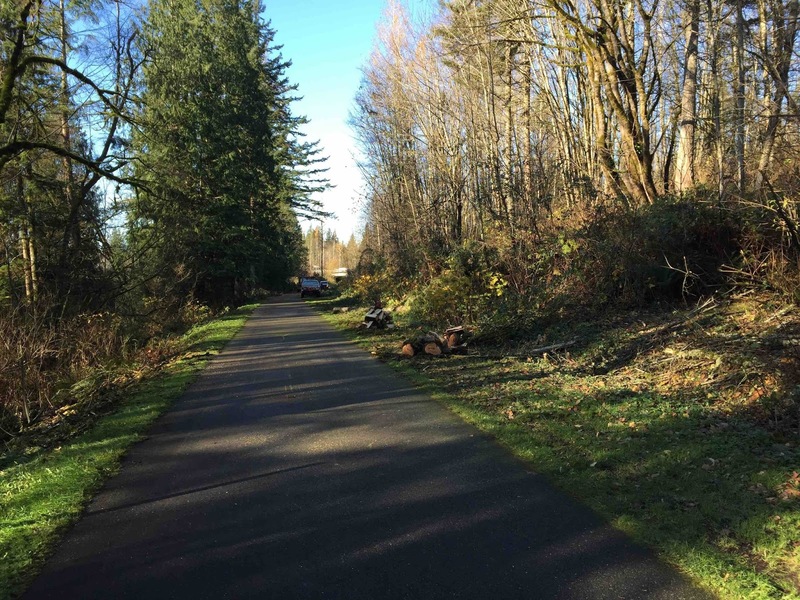 Snohomish County Parks rangers got out there quickly and were able to clear the worst of the problems so that hikers, equestrian riders, and walkers can enjoy using the trail in the fall weather. Thank You Snohomish County Parks! With the Holiday festive season coming, these trails make a great place to take the family out for a few hours, and maybe even work off some of those great family meals. We know this was a work of generosity and enthusiasm, and we appreciate that it was also some long hours and hard work. Yes they are! Massive amount of work!